We may not sing and dance wearing primary colors, but the movie offers tips on dream gigs. It's up to you, New York, and several other states and municipalities to mandate fair pay. How to be a role model of transparency, spot the white lies, and create an open workspace. Gloria's Pick*: "The Power of One Voice" is the theme of my pick during this significant week. I share “Nine Excerpts from Martin Luther King, Jr.’s Speeches” with my dream that you will use the power of your voice, knowing it holds within it your unique value and the power to change the world. Sheryl Sandberg here in conversation with Mark Zuckerberg on their different leadership styles at Facebook and how that dynamic grows success. Get inspired by these 10 top women in tech innovation for cities around the world. Women create a huge fan base, but are still missing in sports media. Meet the trainer who lets her horses train CEOS to listen and be more sensitive. A new Johns Hopkins study tries to decipher this paradox. “Ping pong tables and pizza parties aren’t going to cut it. Millennials, and particularly millennial women, want to understand that what they’re doing every day contributes to the company values and shapes the culture in a positive way." 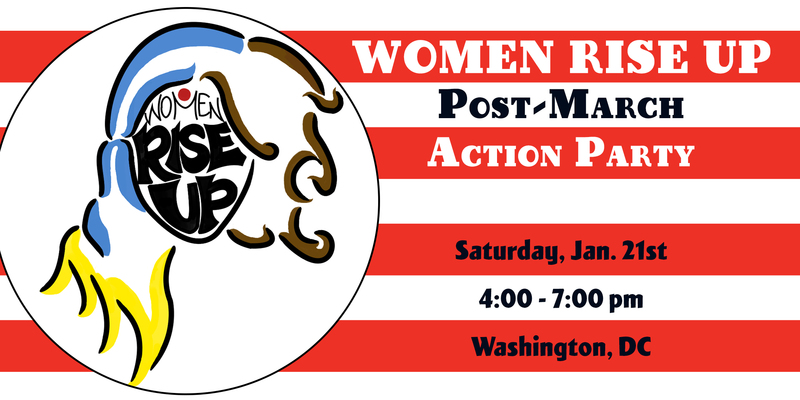 Join us after the Women's March on Washington as we partner with Awakening Women Institute and See Jane Do for a post-march action party. Let's fill the room with women ready to Take The Lead in their lives and access their personal power. YOU are needed more than ever.